JJ Ferguson has returned home to Pinewood, North Carolina, to build his dream house and to pursue his high school sweetheart, Ava. But as he reenters his former world, where factories are in decline and the legacy of Jim Crow is still felt, he’s startled to find that the people he once knew and loved have changed just as much as he has. Ava is now married and desperate for a baby, though she can’t seem to carry one to term. Her husband, Henry, has grown distant, frustrated by the demise of the furniture industry, which has outsourced to China and stripped the area of jobs. Ava’s mother, Sylvia, caters to and meddles with the lives of those around her, trying to fill the void left by her absent son. And Don, Sylvia’s unworthy but charming husband, just won’t stop hanging around. JJ’s return—and his plans to build a huge mansion overlooking Pinewood and woo Ava—not only unsettles their family, but stirs up the entire town. The ostentatious wealth that JJ has attained forces everyone to consider the cards they’ve been dealt, what more they want and deserve, and how they might go about getting it. Can they reorient their lives to align with their wishes rather than their current realities? Or are they all already resigned to the rhythms of the particular lives they lead? 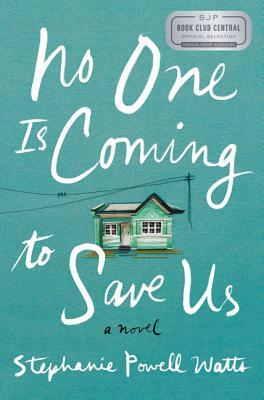 No One Is Coming to Save Us is a revelatory debut from an insightful voice: with echoes of The Great Gatsby it is an arresting and powerful novel about an extended African American family and their colliding visions of the American Dream. In evocative prose, Stephanie Powell Watts has crafted a full and stunning portrait that combines a universally resonant story with an intimate glimpse into the hearts of one family.